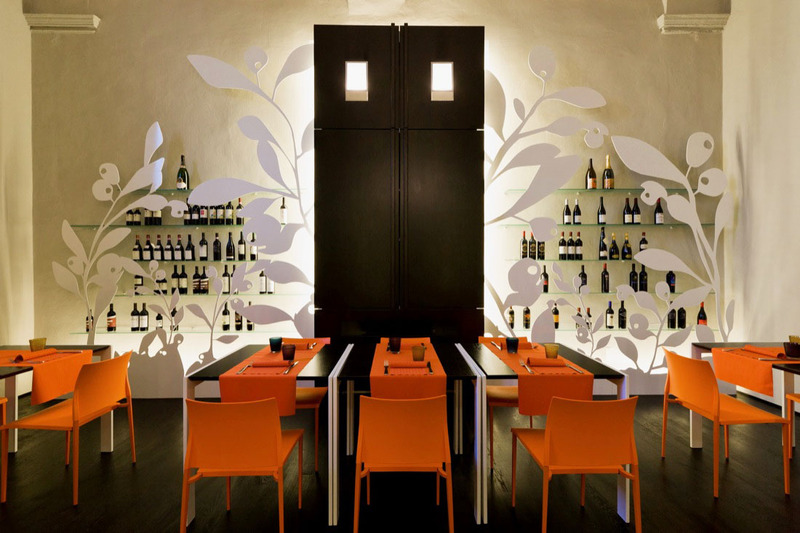 Santa Marta Restaurant In Mazzè, Italy is a contemporary restaurant in an old 18th century chapel. The interior design by Studio Kuadra conserves the framework of the three-storey ancient chapel. The first floor of the old chapel has been transformed into the main dining room. A gallery above overlooks the dining room through two small balconies. The minimalist interior decor provides a natural and attractive balance to the brick walls of the old structure.